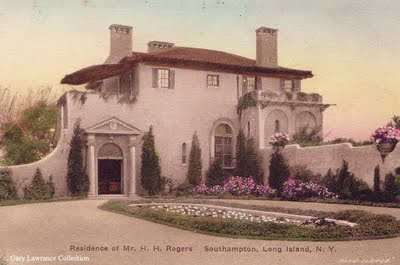 Residence of Richard Esterbrook, Jr.
A 1960's Television show about a down and out Southampton Millionaire family starring Phyllis Diller. 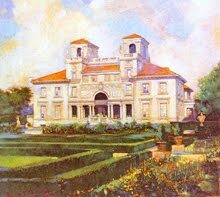 Note the opening scene uses Biltmore House in Asheville, North Carolina. 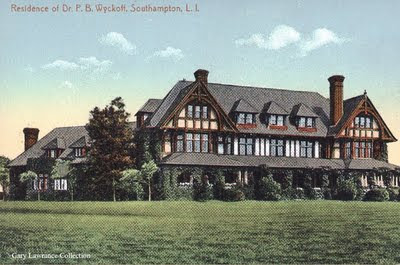 Built for Dr. Peter Wyckoff, then in 1928 sold to Mr. & Mrs. James P. Donahue who renovated the house and expanded the property, turning it into one of Southampton's most opulent estates. 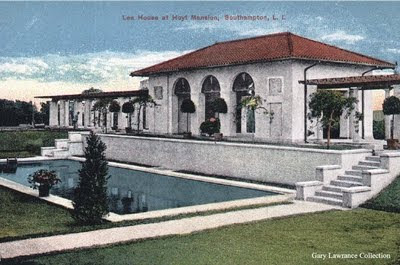 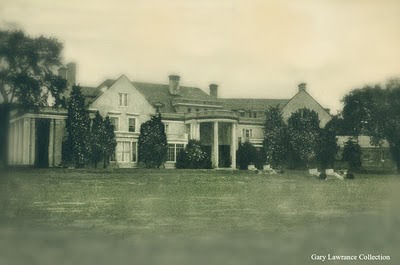 Wooldon Manor is a combination of the last names of Mrs. Donahue, the former Jessie Woolworth and her husband James Paul Donahue. 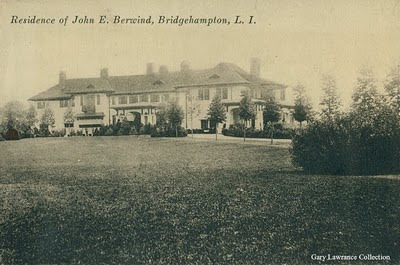 The final owner was Edmund F. Lynch,of Merrill Lynch. 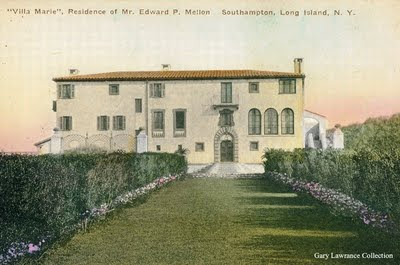 Upon his death in 1938, the estate fell into disrepair and the mansion was demolished. 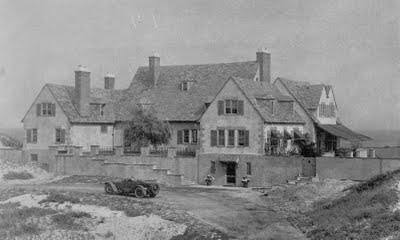 The property was subdivided, and the remaining buildings converted to residential use. 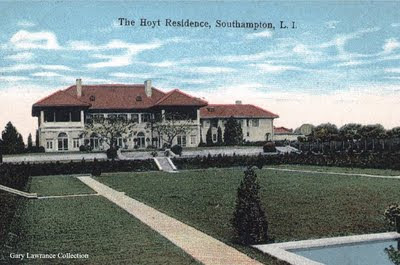 The pool house along the ocean has been enlarged and renovated over the years to become an impressive mansion itself. 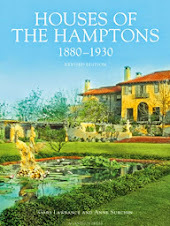 Wooldon Manor is a featured house in the book," Houses of the Hamptons 1880-1930" By Gary Lawrance & Anne Surchin. 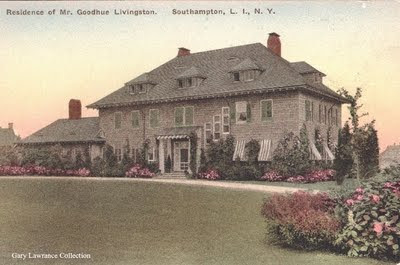 The Lake Agawam home of Goodhue & Louisa Livingston, whom from the 1890's ruled Southampton society. 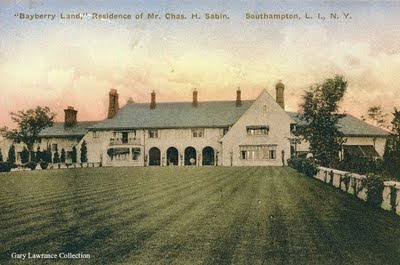 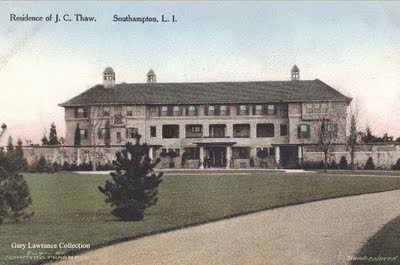 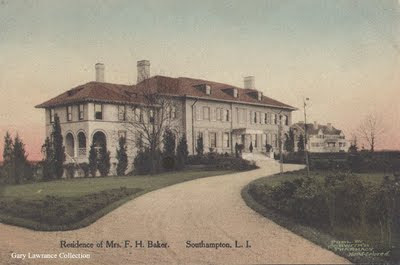 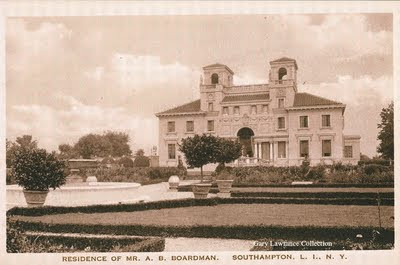 An approval from Mrs. Livingston meant certain entrance to the inner most circle of Southampton's elite. 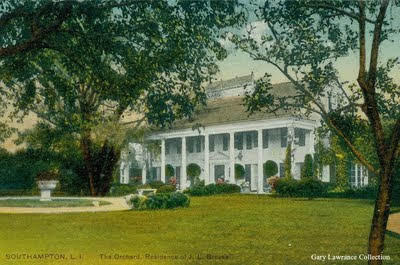 Old Trees has been recently updated and restored to it's former grandeur and is one of the few intact estates still on it's original acreage. 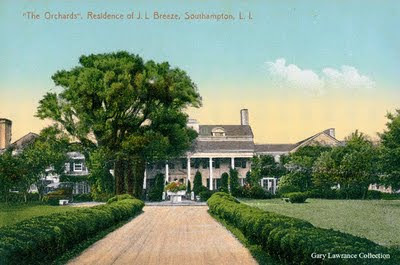 Estate is currently owned by Hedge Fund Financier, John Paulson. 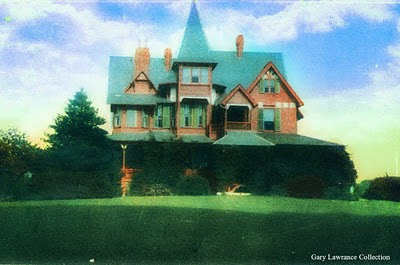 Residence of Henry Huddleston Rogers Jr.
Meadow Lane view of the Fincke Residence.